Villa Bima Sena offers a spacious and peaceful stay for 1 to 6 people. 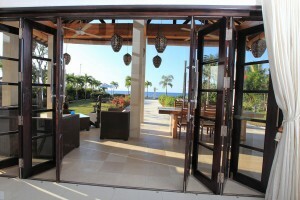 The villa has a beautiful large tropical garden and a lovely pool with a direct access to the quiet beach. The villa is built on 2500m2 ground and offers a panoramic view over the Bali sea, where you will experience beautiful sunsets. This holiday villa is ideal for anyone who wants to enjoy comfort and privacy in a beautiful and authentic setting. From the spacious and comfortable living room you have a panoramic view over the tropical garden, the pool and the Bali Sea. The living room is equipped with all comforts including a spacious kitchen, a sitting area with TV and a dining table. 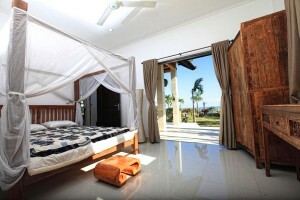 Villa Bima Sena has 3 large bedrooms. In two of the bedroom suites, you will find a king size poster bed with romantic mosquito net. The third room has two spacious one-person poster beds, both with mosquito net. Each bedroom is equipped with air conditioning and ceiling fans. From the bedrooms you have access to an adjoining bathroom. The stylish, modern bathrooms are equipped with a toilet and a shower. 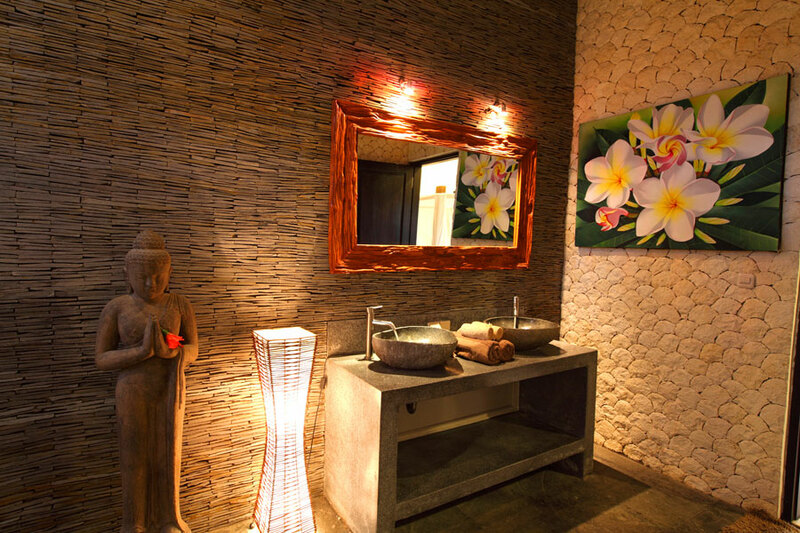 All bathrooms are beautifully finished with natural materials. The wonderful refreshing pool is located between the beach and the villa and is taken care of daily by the gardener. On the sun terrace by the pool, relax on the spacious sun beds. The pool is lit so that you can also take an evening swim.